Social media is a fast, fun and easy way to get information out to your employees and customers. Copy, paste, use one of our photos and post. It’s that simple! You can use, insert or attached our photos onto your message. 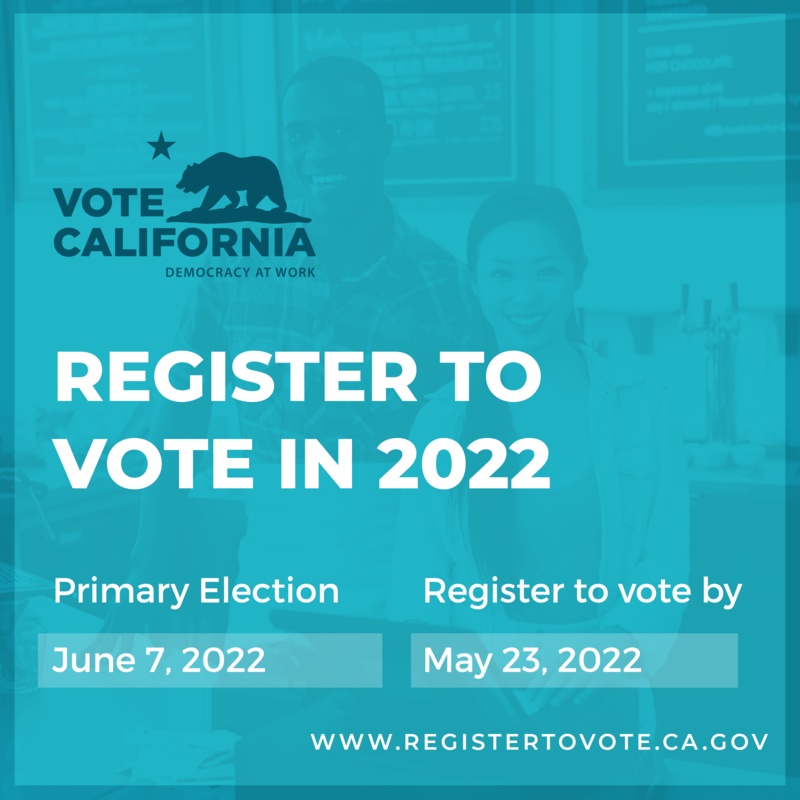 You can link to the California Online Voter Registration page by embedding the Democracy at Work logo or Register To Vote button onto your website. 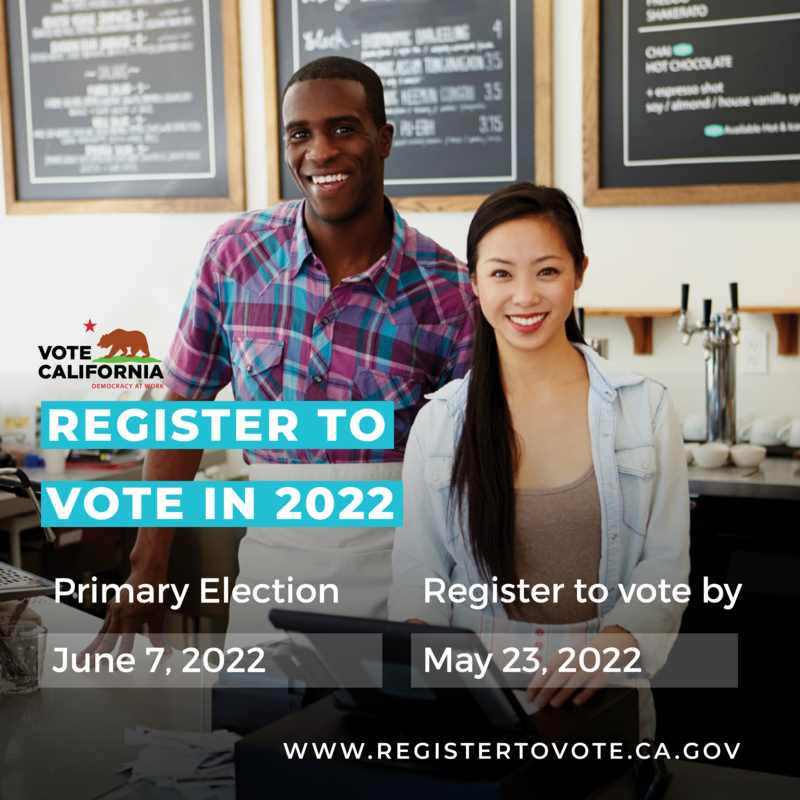 You can display a banner on your organization’s website to remind the public of important election dates and deadlines, and to display your partnership with the Democracy at Work program.